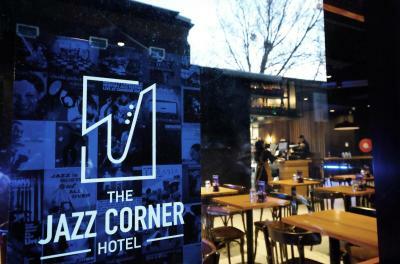 Lock in a great price for The Jazz Corner Hotel – rated 8.8 by recent guests! It is good and quiet place to stay but it takes about 15 mins walk to CBD. The room is rather a small apartment with everything necessary in it, I loved it. The staff is amazing and Hasan is an exceptional professional. Everything! The location was super convenient- right on the free tram line and across from a beautiful park. It was spacious and clean and very quiet. The staff was lovey. We thought it was superb value. Overall a satisfactory hotel to stay in. Clean, and a comfortable bed. Also a great location. I enjoyed the balcony and view of the park across the street. Staff was very helpful. There was access to the gym early in the morning. Convenient to Victoria Market and Southern Cross Station for food shopping. Living area was spacious and comfortable. Wireless network worked reasonably well. 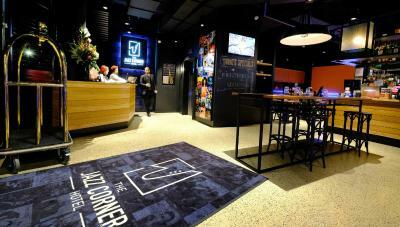 The Jazz Corner Hotel This rating is a reflection of how the property compares to the industry standard when it comes to price, facilities and services available. It's based on a self-evaluation by the property. Use this rating to help choose your stay! 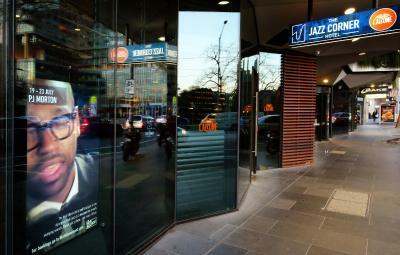 One of our top picks in Melbourne.The Jazz Corner Hotel is located directly across the road from Flagstaff Gardens, the free City Circle Tram and Flagstaff Train Station. Free WiFi in every room is included. Guests staying at The Jazz Corner Hotel can choose to stay in a stylish studio, a 1-bedroom apartment or a 2-bedroom apartment, each with a private balcony with either views of the city skyline or lush parkland. Luxurious guest toiletries, cable channels, a fully equipped kitchen and an in-room washing machine and tumble dryer are provided in each accommodations type. 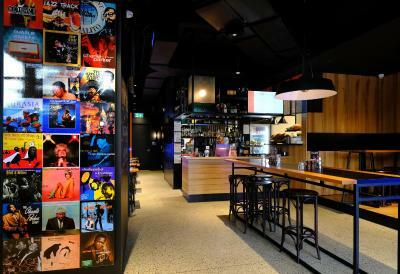 The Jazz Corner Hotel, a boutique apartment hotel, opened in February 2017, is located above a world-class live music venue, Bird's Basement, is within walking distance of shops and 5 minutes' walk from Queen Victoria Market. Etihad Stadium is 6 minutes' drive away. The staff at the property can help guests make tour bookings, organize airport transfer services and answer any questions regarding the fully equipped gymnasium, in-house dining and car parking. There is a 10-minute drop-off zone out teh front of the hotel, so that you can check-in, unload your luggage and then park your car. 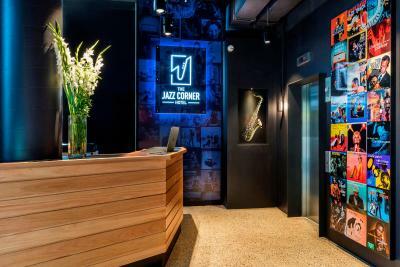 When would you like to stay at The Jazz Corner Hotel? These studios are located on levels 4-7 with a private balcony overlooking the quiet alley below. Studios offer a king-sized bed or 2 single-sized beds and feature a fully equipped kitchen, private bathroom, reverse cycle air-conditioning, in-room laundry facilities and a flat-screen digital TV with cable channels. These spacious 1-bedroom apartments are located on levels 4-8 and include a private balcony overlooking the quiet ally below. The apartments each offer a separate bedroom with a king-sized bed and a living space with a flat-screen TV that has cable channels. A fully equipped kitchen, reverse cycle air-conditioning, in-room laundry facilities and an private bathroom with a shower are provided. These spacious, 1-bedroom apartments are located on levels 4-35, each with a private balcony overlooking Flagstaff Gardens or the city skyline. Apartments offer separate bedrooms with a king-sized bed and a living space with a flat-screen TV that has cable channels. A fully equipped kitchen, reverse-cycle air-conditioning, in room laundry and an private bathroom with a shower are provided in each apartment. 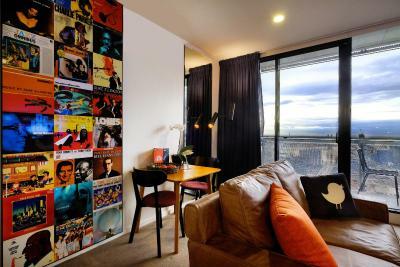 These spacious 2 bedroom apartments are located on levels 20-35, each with a furnished private balcony and spectacular views over Flagstaff Gardens or the city skyline. The apartments offer separate bedrooms, both with a king-sized bed or 1 king-sized bed and 2 single-sized beds. An private bathroom with a shower and 2 flat-screen TVs with cable channels are provided in each apartment as well as a fully equipped kitchen, reverse-cycle air-conditioning and in-room laundry facilities. Located on levels 22-35, these studio apartments each have a private balcony overlooking the quiet alley below. There is a queen-sized bed, a fully equipped kitchen, private bathroom, reverse-cycle air-conditioning, in-room laundry facilities and a flat-screen digital TV with cable channels in each studio. 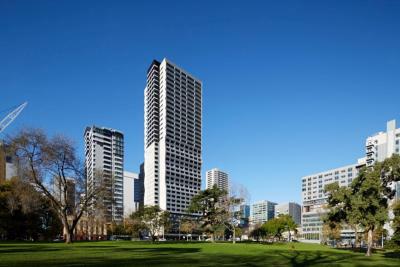 Located on levels 4-8, these studio apartments include a private balcony overlooking Flagstaff Gardens. The studios each have a king-sized bed or 2 king single beds, a fully equipped kitchen, private bathroom, reverse cycle air-conditioning, in-room laundry facilities and a flat-screen digital TV with cable channels. 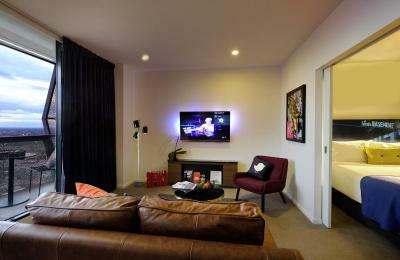 Located on level 22-35, these studio apartments overlook the city skyline from private balconies. A queen-sized bed, fully equipped kitchen and an private bathroom are provided in each as well as reverse-cycle air-conditioning, in-room laundry facilities and a flat-screen digital TV with cable channels. House Rules The Jazz Corner Hotel takes special requests – add in the next step! Debit card The Jazz Corner Hotel accepts these cards and reserves the right to temporarily hold an amount prior to arrival. The Jazz Corner Hotel accepts these cards and reserves the right to temporarily hold an amount prior to arrival. Please note that this property requires a refundable AUD 100 credit card pre-authorization or cash deposit upon check. If you would like to take advantage of the kitchen. You would need to buy essentials, such as, salt, pepper, butter. The Jazz Corner was a spacious one bedroom apartment. It offers such a good view of the city and a full kitchen and full size fridge. Check-in and check-out is easy and staff were really friendly. 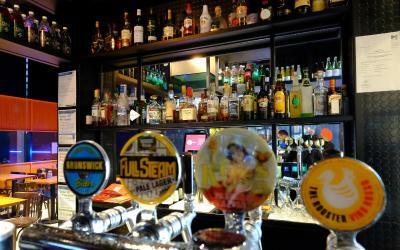 It is just around the corner from the main train stations in the CBD. 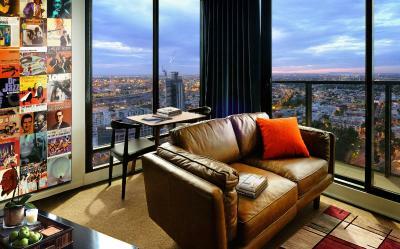 I highly recommend for long or short stays in Melbourne. Great!! I enjoyed a lot about my stay, the staff is so friendly! The staff were friendly and very accomodating. Would stay here again. Nice clean room. Our stay was good but our room looked directly into an office building so we had to keep the curtains shut the whole time. The hotel is clean and quiet but it looks like an office building. 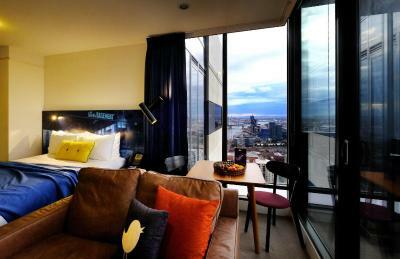 This place is fine if you are just looking for a clean and quiet place to stay for the night but not if you want to be in the heart of it all in Melbourne. Excellent view of the city! Cleaning staff didnt replace the shower gels or shampoo at all during my stay.. which was annoying. Room sizes are always good at this hotel. Location is good, easy to walk around town and to business meetings Price is perfect. In a city of overpriced hotels, this is a real gem... good quality at a fraction of the price. Great location, nice, quiet, self contained room with balcony & a view! 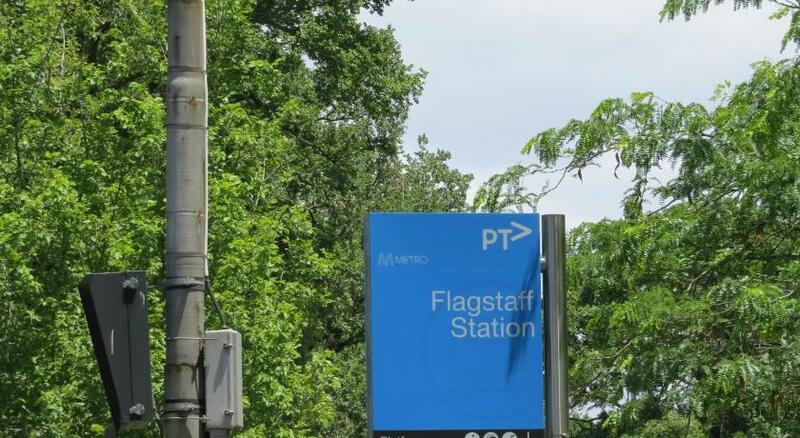 close to Flagstaff gardens, close enough to walk to Southern cross station, or easy public transport. Excellent hotel. Clean comfortable great location. Friendly helpful staff. There was nothing I didn’t like ! Credit card surcharge - feel hotels should cover this for expensive rooms and always frustrates me! Location - everyone on reviews has raved about this (one of reasons I booked), this place is not in the heart of the action - it takes a while to walk anywhere from here. There are train and tram stops outside the door, which is great, but I wouldn't class this as an exceptional location as others have. Not cleanest hotel I have stayed in - stain on living room floor, kitchen a bit greasy and toiletries obviously used by pervious occupant and never changed during my stay. I only booked this place because I was offered a free room upgrade to a one bed apartment (maybe they are all apartments haha). Also had a balcony which was awesome with fantastic views of the city. Positives do outweigh negatives and would definitely look at this as an option again in the future but only the apartment.